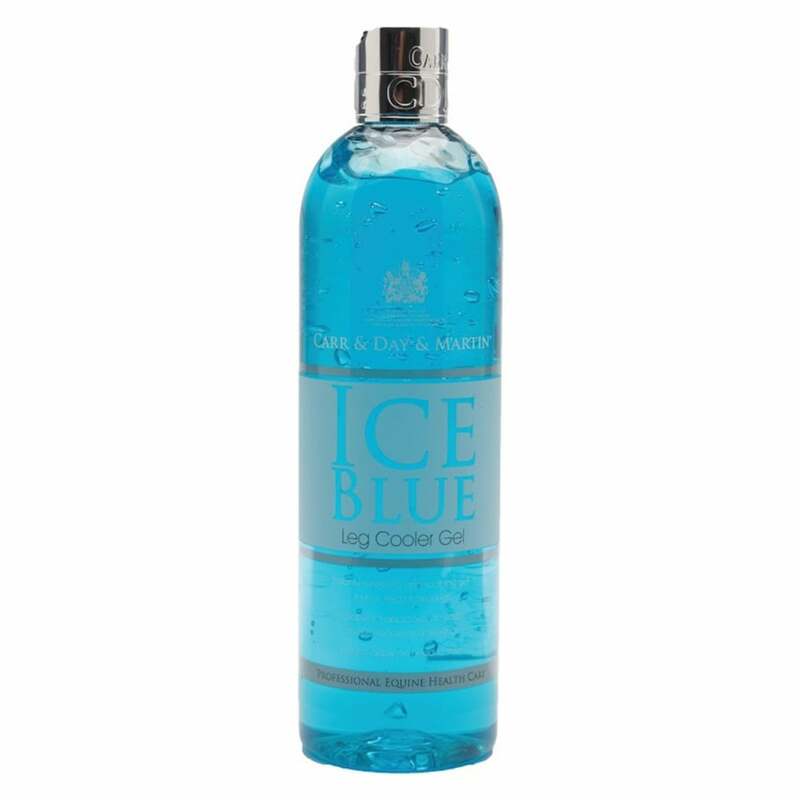 Carr & Day & Martin Ice Blue Leg Cooler is a fast acting gel designed to cool and soothe hot, tired or filled legs. Ice Blue can be used neat on your horses legs or diluted (1 part to 9 parts water) and used as a refreshing body wash after exercise. Ice Blue Leg Cooler has numerous key ingredients and therefore offers additional benefits to traditional witch hazel gel or arnica gel. Arnica and Witch Hazel are traditionally used to disperse heat and bruising with an anti-inflammatory effect. Menthol and Camphor are used for their cooling and soothing properties whilst Teatree is also added for anti-bacterial and anti-fungal protection. This fast acting gel comes in an easy to use pump bottle and should be applied liberally for optimum effect. For best results it is recommended to rinse off and re-apply every 4-8 hours as required. Carr & Day & Martin Ice Blue Leg Cooler contains menthol and camphor and a withdrawal period of 1-2 weeks should be imposed if competing under Jockey Club, FEI or BSJA rules.